Dud Shisha Temple is one of the latest shishas! 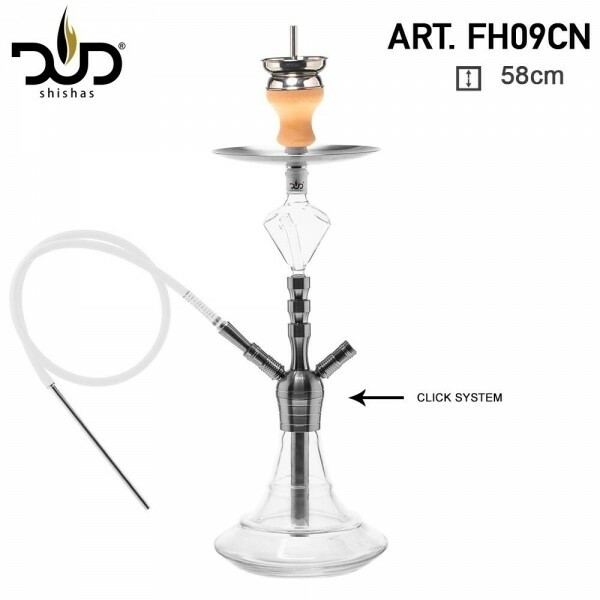 It is 58cm high, and it comes with 1x metal silver ashplate, 1x molasse catcher, 1x silicone hose with mouthpiece, 2x hose adapter with holder, 1x charcoal clipper. It works with a click system.